Preparing a top list is always a hard task to accomplish, anyways, we have prepared one for the sake of our visitors who were in hurry burry to buy a best inverter battery immediately and who have no time to sit back and read our blog leisurely. Writing an article like this seems like a simple task, but the truth is, it is a herculean task. Only those who follow the battery sales and performance trend for a very long time could confidently write such a post. I hope I can make it. 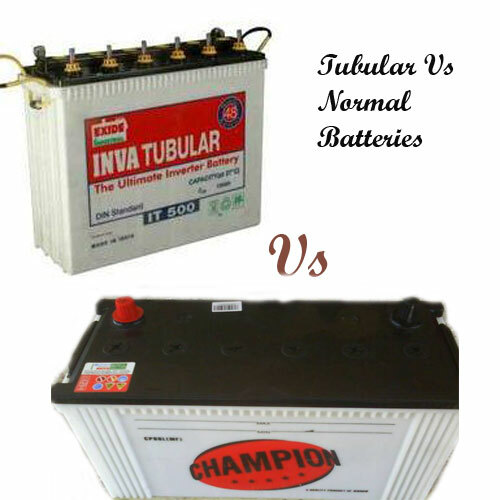 So, here in this post, I’m going to write about the top 3 tubular batteries for inverters in Indian Market, I will cover the top 3 non- tubular batteries in my next post separately. You may wonder that I have not listed some potential best performing models in market, but when we narrow our search and try to pick the top 3 from a very large list of batteries, it is inevitable to leave some good performing and competitively priced battery models. The three models listed here are undoubtedly best sellers, Best performers, long lasting and worth the price. 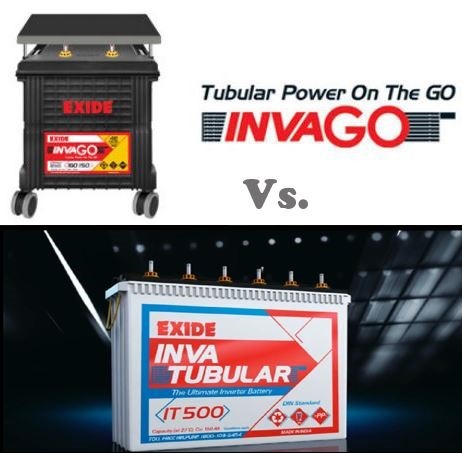 We face no difficulty in picking the no.1 tubular battery for inverters, as we all already know, Exide IT500 holds the no.1 position. 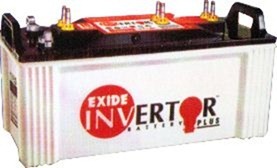 Exide IT500 is a 150 ah tall tubular battery from India’s largest battery manufacturing company. Though Exide is producing so many models in tubular series, particularly this IT500 model has a very good reputation and proven longevity in the market. IT500 is the best seller and best performer of its class. Non-availability during heavy demands and high pricing are the main disadvantages of this model, despite of all these reasons Exide IT 500 holds the no.1 position in the market. Exide IT500 Perform consistently even under arduous situation and deliver long back up flawlessly. Exide IT500 (150ah) battery has 36 month full replacement warranty + 1 year Prorate warranty. Prorate warranty is just a discount on new battery purchase. Price of Exide IT500 range from Rs.14000 to 15000/-, particularly in southern states of India, the prices are so high and not reasonable. This model is from one of the India’s leading battery manufacturing company ‘Amara Raja Batteries Ltd’. Luminous is one of the best battery manufacturers in India. Luminous inverters are already rocking the market; Luminous has variety of tall tubular battery models designed for use with Home UPS systems. This ILTT18048 (150ah tall tubular) model with long warranty is most popular among users who prefer reliable and branded long back up tubular battery at affordable price. Here we add some best performing tubular battery models, difference between top 3 models and these other models is very narrow. Tell us if we left out any other good models in the below list.